The Orabella's Blog...: Chairman of Ejigbo LCDA, Kehinde Bamigbetan has been Kidnapped by Gunmen!!! 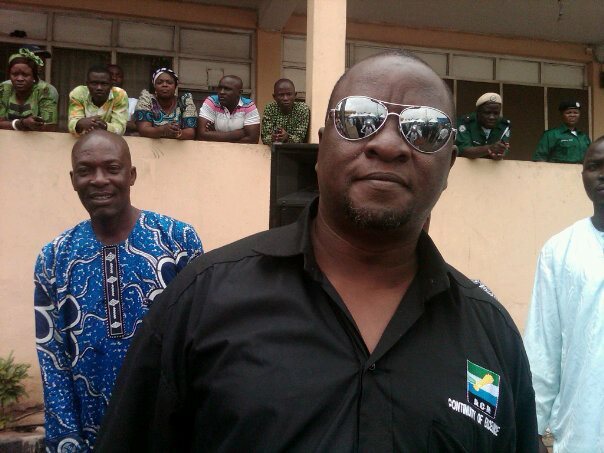 Chairman of Ejigbo LCDA, Kehinde Bamigbetan has been Kidnapped by Gunmen!!! Chairman of Ejigbo LCDA, Kehinde Bamigbetan has been kidnapped. He was dragged out of his car early this morning by unknown gunmen in front of his home at Ejigbo. The driver who was injured during the attack and was luckily enough to be freed said that they were returning from an outing, when they noticed another vehicle by unknown men pursuing them. Kehinde Bamigbetan is a former Chief Press Secretary to Asiwaju Bola Tinubu Ahmed, the national leader of Action Congress of Nigeria.